It sure has been a whirlwind of week! (But really, when isn’t it? haha) Big changes are in store for the blog within the next few months and I have been working very hard on it. I feel that I am finally at the point where I can get my own domain, which may not be a big deal to some but to me, it means so much! I have an exciting styling series lined up and a few things that I am pondering ( another bi-weekly/monthly link-up, guest posts, etc.) so let me know if you have any feedback or would like to see something here on Lizzie in Lace! Things have been crazy busy as usual, so time management will be my biggest challenge but I am ready for the next step in this blogging adventure and am so thankful to have you all my blogging friends and supporters that I adore and support as well! 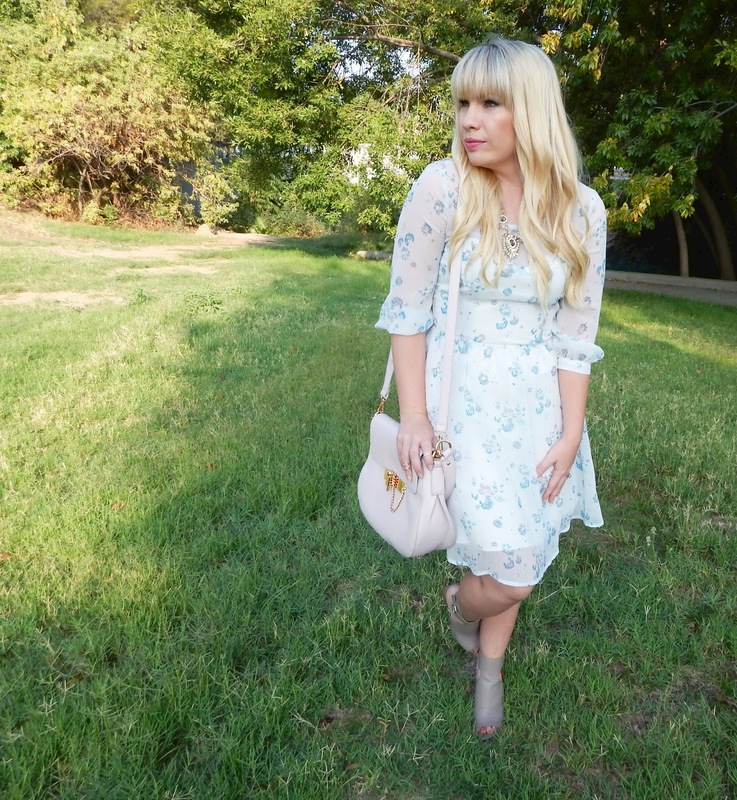 Onto my outfit for this week’s link-up! Even though I wear a lot of bright colors (and perhaps some crazy patterns? ), my true love encompasses a neutral, soft, feminine color palette. Girly floral prints, flowy fabrics and soft tones are “my thing” and I feel like this outfit has all of these elements. If you saw the amount of cream and white garments that I have stashed in my closet, your mind would be blown. 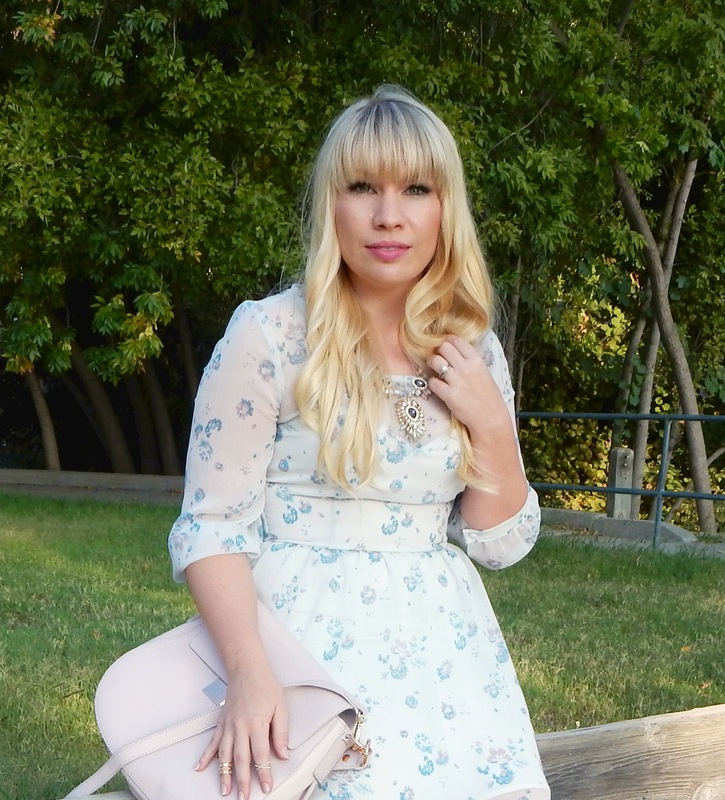 The print on this dress is too pretty and I just love the shape of it! 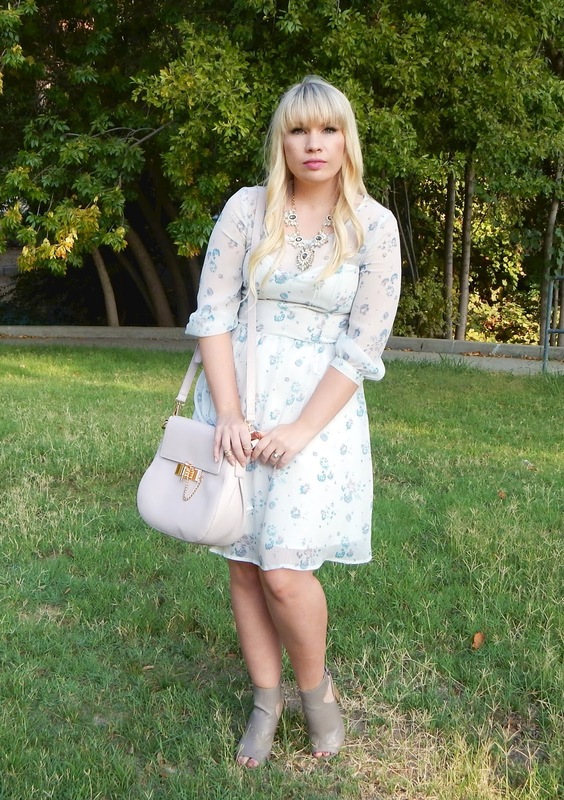 I paired it with my grey ankle boots to take the sweetness down just a bit. 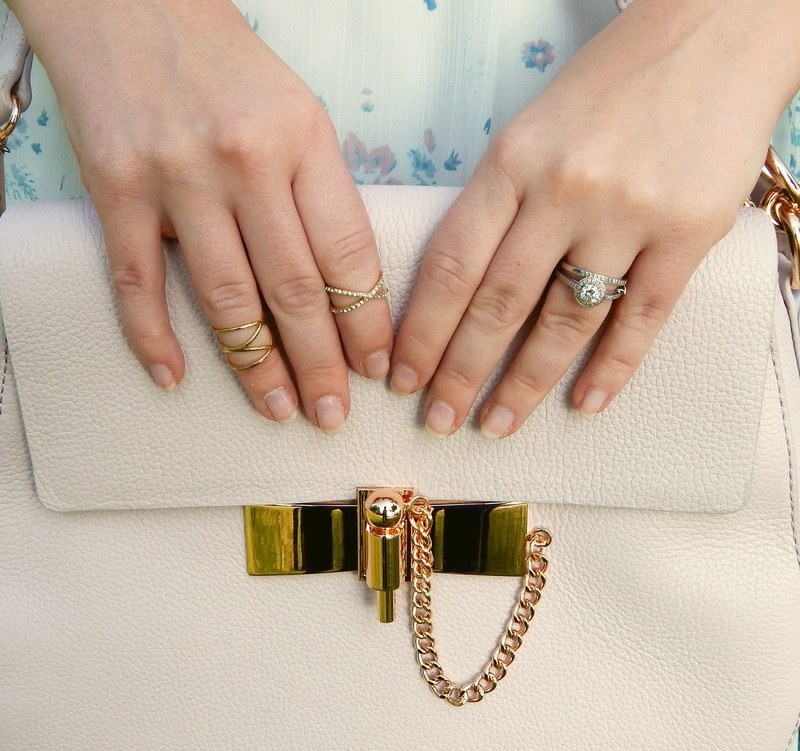 This bag is actually from Lauren Conrad’s runway collection….you know the one. I think I pretty much bought the whole collection…shh! 😀 It’s prettiest shade of blush that goes with nearly everything! 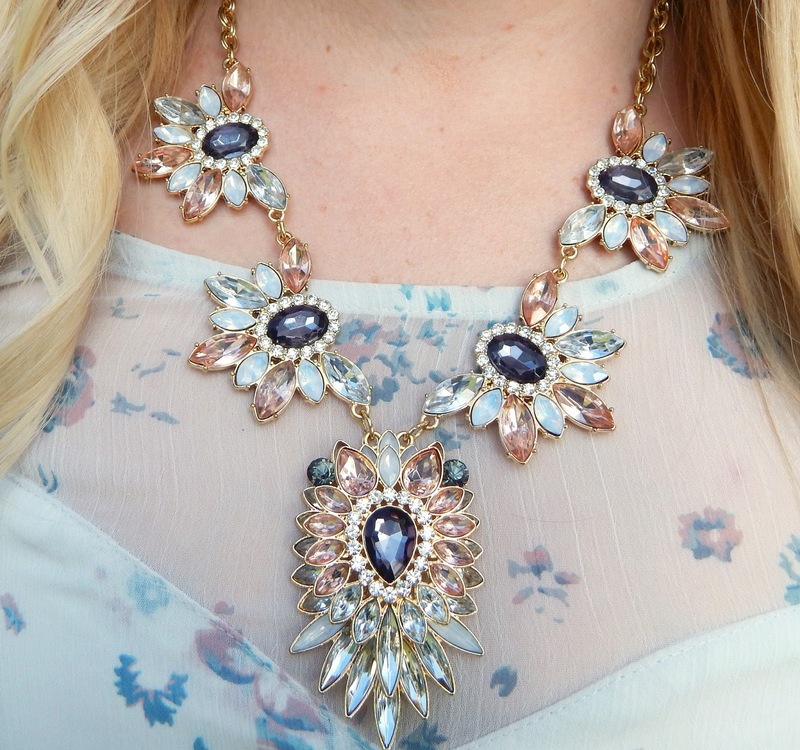 The gorgeous necklace has both the grey and blush tones and pulls the outfit together nicely. I am totally into leather for the fall and that includes the coveted midi skirt! I think she did a great job by making it office appropriate yet stylish enough to wear out afterwards. Plus that clutch is amazing!